The sound amplifying iPhone case that increases the volume of an iPhone by three times whilst maintaining the highest sound quality. First approached back in 2013 with an alternative project, London based company, Patrona re-engaged with Omega in 2015 to help with the design and manufacture of their new product which was to be launched along with their distribution company Activ8. The product itself is a sound amplifying phone case designed for the iPhone which can increase the volume of sounds by three time – whilst maintaining the highest quality of sound. The product name, Ampfly. 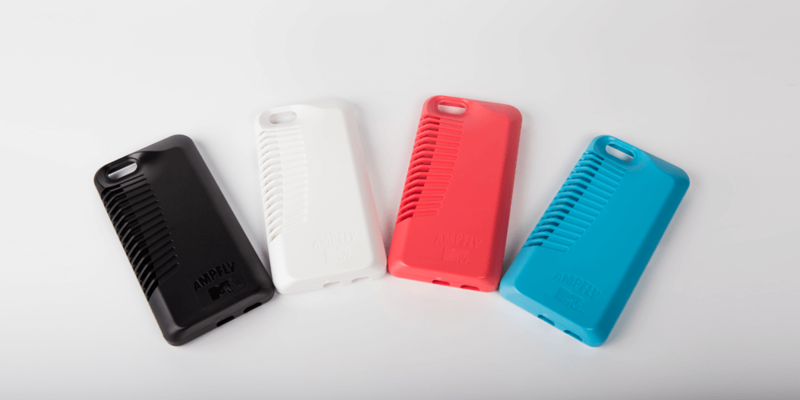 Working together we were able to provide Activ8 will a full turn-key solution for their project, taking the phone case from its initial design stages, through manufacture, assembly and packaging. Initial design reviews were essential for this project, as it was important that everyone involved understood how the product would work in its most basic form and ensure that is was able to be manufactured to the standard expected, not just by both parties involved but the end consumer. With the help of Moldflow to validate the design, it was made easy to understand how the product would work and how it could be manufactured in line with the desired outcome. From this we were able to determine the cavity layout of the family tool and its filling sequence. Recognising the environment of the product and its features meant the material selection had to be carefully considered to allow the phone case to work effectively in terms of volume and sound. Through extensive research and necessary amendments a PC_ABS blend was found to provide the best functionality and meet the needs of the project well. An additional and essential feature of the product was that it was to be aesthetically pleasing for the end consumer in order to aid the buyer behaviour, and through a local material supplier different colours of the phone case were able to be produced with master batch. Moving forward the manufacturing process became easier and by making small adjustments to the product line, we were able to increase productivity which allowed moulding, assembly, inspection and packaging all within the specified cycle time. Different to any other project we had completely before, the Ampfly phone case was a learning experience for both parties involved. Understanding how different polymers can provide differing sound quality has added to our list of extensive knowledge and expertise within our organisation.